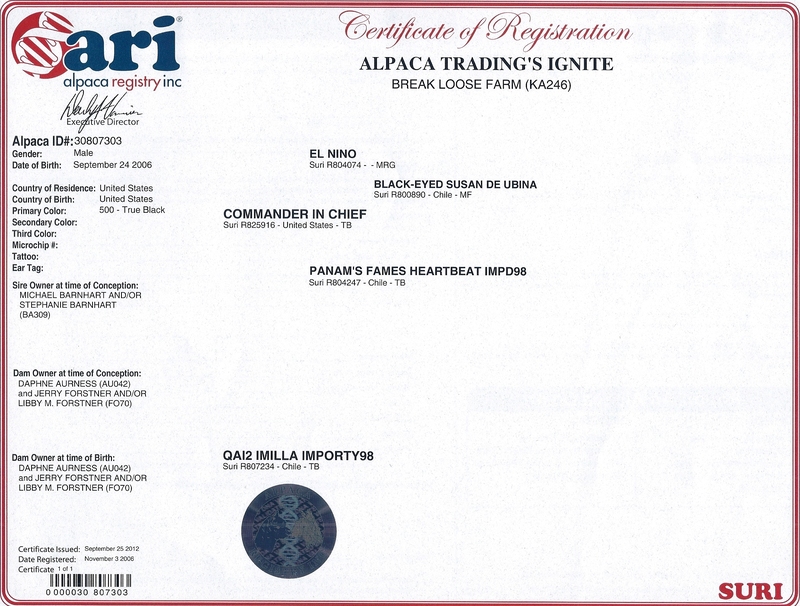 IGNITE was sired by MULTI-CHAMPION Commander In Chief !!! Commander In Chief is a gorgeous black Suri. He earned 7 Championships under 5 different judges ! Commander In Chief carried himself very well and has great coverage and very defined lock structure. . He is out of the grey Suri Herdsire El Nino and his dam is Fames Heartbeat, a true black. True Black elegant female, a producer of sheen, locks and lots of milk. This beautiful girl is one of the Truest of Blacks!! "IGNITE" True Black Super Stud: "IGNITE” is Jet Black with High-Luster Locks has stunning presence in the field. He KNOWS he is GREAT!! 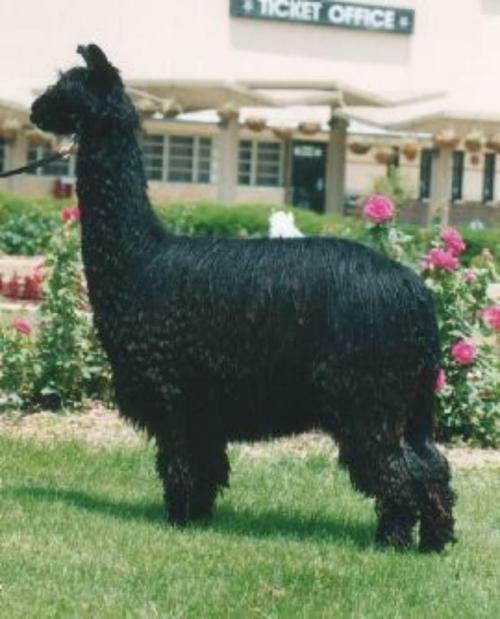 He has a tight lock structure right to the skin, beautiful luster, density that is evident when you touch his fleece. 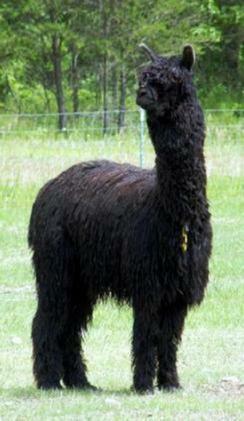 His fleece is so bright it shimmers as the sun touches him, tight wound locks, as Black as Black can be. 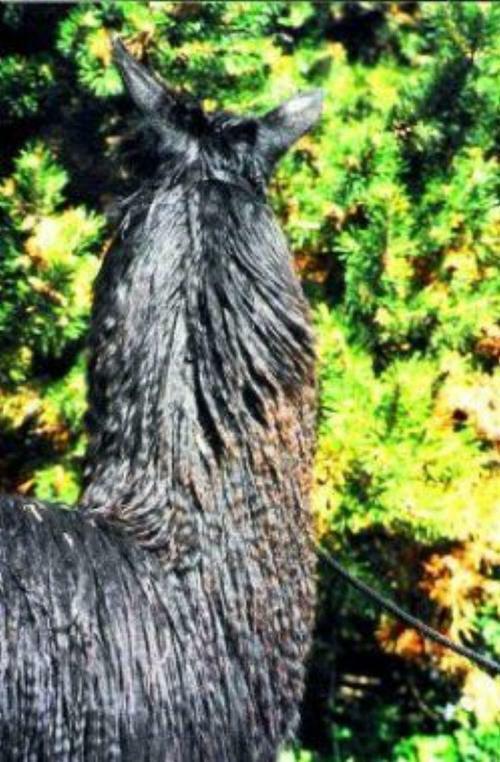 IGNITE has excellent conformation and is descended from two True blacks, locking in those BLACK color genetics !! "IGNITE" True Black Superstar !!!! 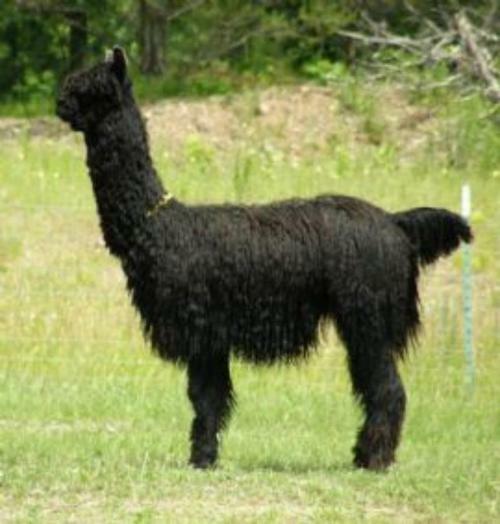 Imagine long shiny, luster dripping, dense, free flowing deep "True Black" Lot's a locks in your Cria too. TB IGNITE passes along his lustrous, dense locks, With his super Excellent conformation and eye appeal True Black Ignite has proven to be a great addition to our Suri herd. The cria come down the chute, locked, healthy and stunning. Call for breeding date now.